Music is everywhere, all around us, always with us. Lately, it seems that the headphones, whether it’s Beats by Dre, Bose or Skullcandy, are part of fashion. Teenagers can’t go anywhere without their earbuds or headphones, bopping their head to the beat and blocking out the world. 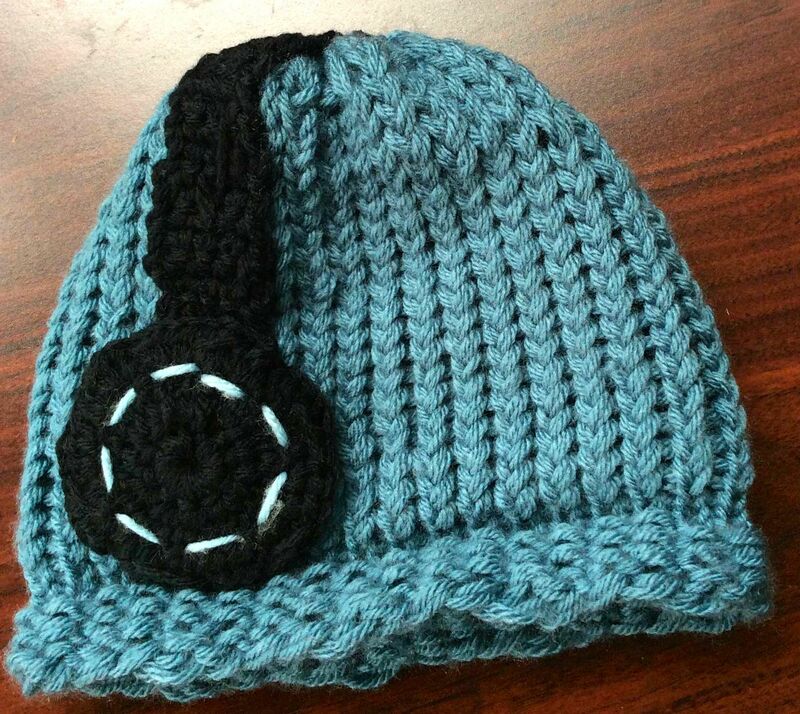 I hope this blue hat with crocheted headphones will bring a smile to a little cancer warrior, rocking to their own beat! This hat was knitted on a 36 peg loom and the black headphones were crocheted, then sewn onto the hat. It was pretty easy to make, once I found the inspiration. And of course, I was listening to music, Pandora to be exact, while I made this hat. 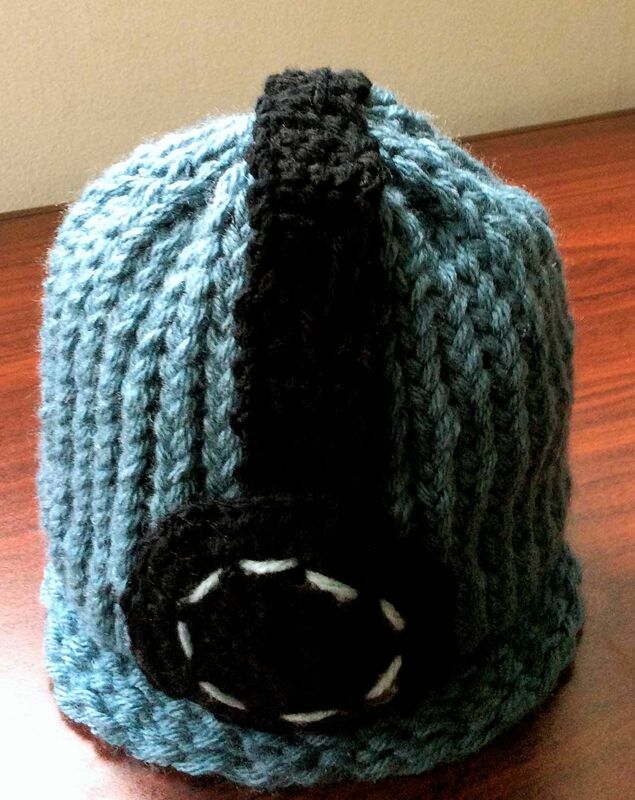 I hope that the recipient of this headphone beanie continues strong in their battle against cancer- keep rocking out!